MirroView™ 50/50 is a highly reflective coated glass and digital display mirror. Suited to bright, natural light locations such as open lobbies and highly glassed areas. The TV brightness is double that of Mirroview 70/20, critical for quality display in highly ambient light environments. 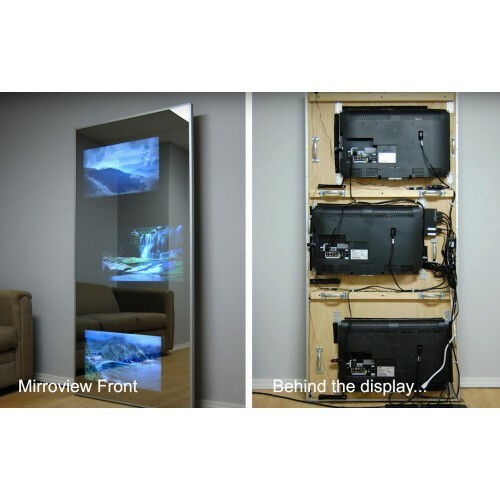 This innovative product combines a mirror and TV in the same location, maximising the use of available space. It is an exceptionally durable mirror product with an unlimited shelf life and is compatible with all current touch screen technologies. 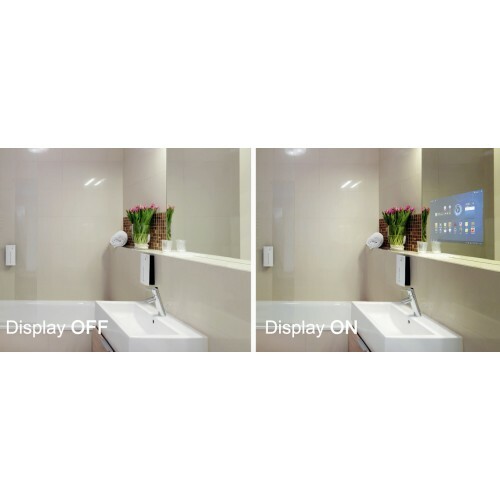 The mirror conceals a digital display screen and when the display is set to off the highly reflective appearance allows it to look like a traditional mirror. When the screen is turned “on” the image shows clearly through the mirror glass. The screens can either fill the mirror area or a small part of the mirror area. MirroView™ 70/20 is a highly reflective, hard pyrolytic coated glass and digital display mirror..